After a lot of random screen drops and the like, we now have a clear idea of when God of War is coming out -- April 20. Yes it's still called God of War even though it's not a full reboot, we'll have to keep dealing with it. 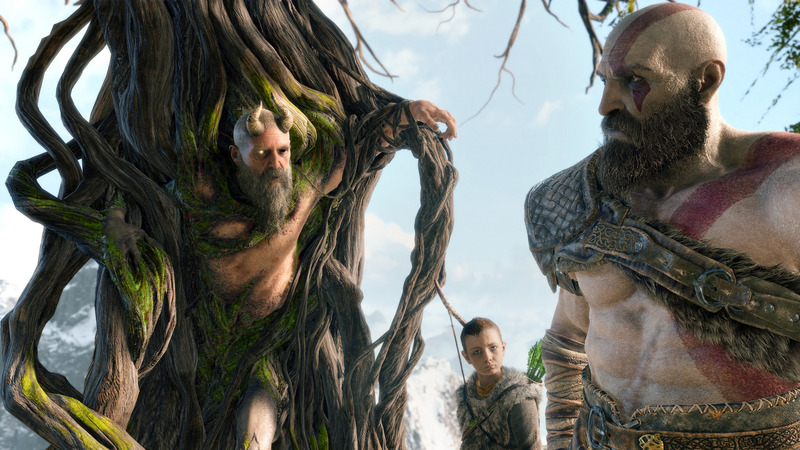 It's also still slated for PS4 with Cory Barlog at the helm, and will be the eight and most recent entry from a chronological standpoint, thrusting Kratos and his son into the realm of Norse mythology with his Leviathan Axe. To kick off the launch date announcement Sony also dropped a new story trailer, but it heavily touches on some spoilerery beats if you wanted to go in blind. The whole Norse thing is looking really good, I'm just hoping they don't screw up the son/familial angle. Atreus has the potential to really bring home the whole paternal narrative that was previously explored in The Last of Us, but only if the performances and writing are there.